Having almost completed our in-depth review of the leading palm sanders it is time to move on to a different category. 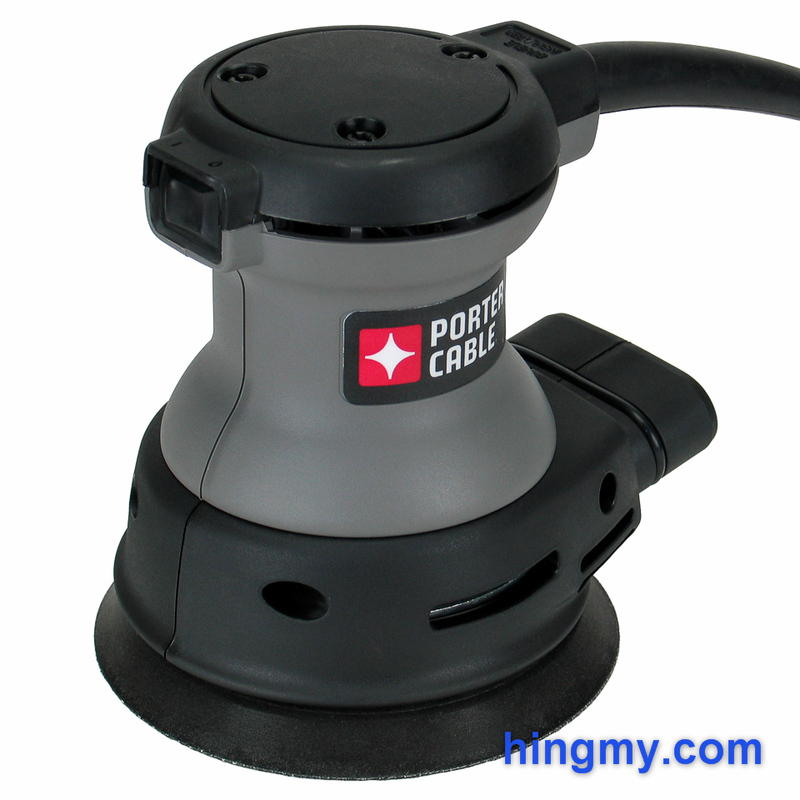 The Porter Cable Model 382 kicks off our new series of random orbit sander reviews. This particular model comes with the distinction of being cheaper than most contenders in the field, while looking no different at first glance. 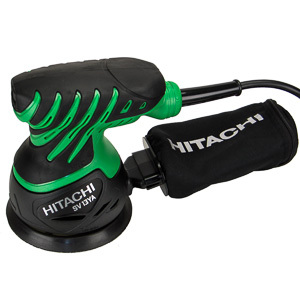 Let's take a closer look at how the Model 382 random orbit sander performed in our shop. 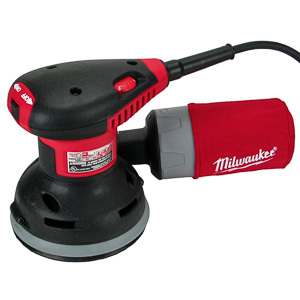 The Model 382 is a budget random orbit sander intended for professional use. 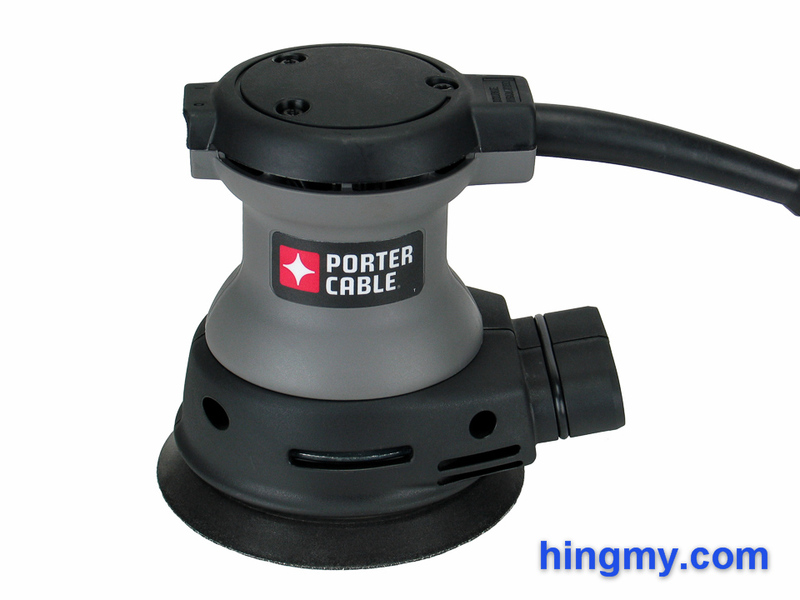 To keep the price down Porter Cable chose to go with a less powerful, fixed speed motor while keeping the build quality of the sander high everywhere else. Not having the ability to adjust the sanding speed of the sander is a limitation in the workshop, but it does not make the Model 382 a useless tool. 12,000 rpm happens to be a good speed for finish sanding a wide range of materials including most species of wood. Entirely made from hard plastic the 382 presents a durable shell to the world. There is no soft rubber grip material to be found anywhere on the sander. The user's hand rests very comfortably on the body of the sander. The knob at the top, on the other hand, is a bit too flat and crude to be called well design. It is still comfortable to hold the sander that way, but every now an then the sander will feel like an alien object in your hand. A plastic membrane protects the power switch of the sander from dust. The switch can feel a little mushy at times, but ultimately fulfills its function. There is no protection against accidental activation. If the sander is plugged in while the power switch is in the ON position, the sander will turn on. The 8 ft power cord lies flat after given the opportunity to lose the tight loops it acquired from being packaged into a tight box. If you don't coil it too tightly after each use, the cord will not get into your way when using the sander. The sanding pad at the bottom of the sander accepts 8 hole hook&loop sandpaper disks. In our tests the pad secured all sandpaper disks without any movement; even under heavy load. The plastic hooks at the bottom of the pad took no visible damage. When the pad does wear out eventually, it can be removed by loosening three screws. The Model 382 comes with a hose adapter and cloth canister filter as options for dust collection. Dust collection performance with the bag installed is good as long as the bag is relatively clean. It does not take a lot of dust to drastically reduce the airflow through the cloth walls. When that happens the sander leaves a trail of dust behind right on the work piece. If you are willing to empty the bag every few minutes, the Model 382 can be used in this configuration without too much trouble. The sander does not pick up all dust, but the cloth filter will save you a lot of cleanup time. Like all sanders the only true dustless way to run the Model 382 is with a shop vacuum and a hose. 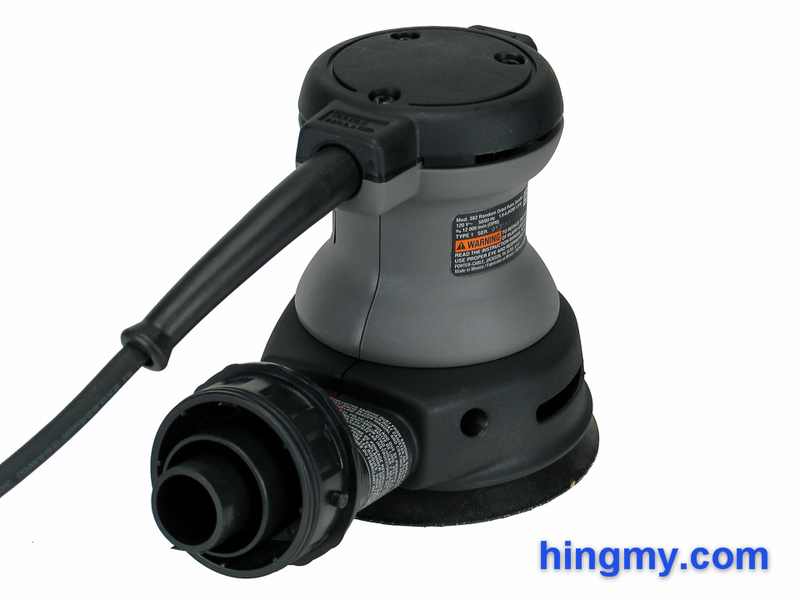 The large, multi-port adapter accepts hoses of different diameter. 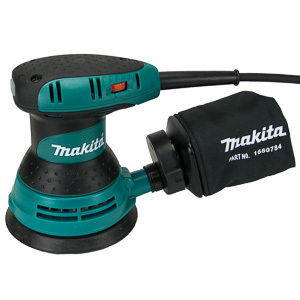 It installs on the sander in seconds using a friction fit. There is no movement anywhere in the setup. When sanding the adapter supports the weight of the hose without the user having to think and manage the hose. With a vacuum attached dust collection performance reaches near perfect levels. Due to the somewhat slow sanding speed of the Model 382 the dust collector has no problem keeping up with the level of dust being produced. The only way to leave a significant amount of dust behind is to make unnatural movements with the sander. It took very little time for us to find out what the Model 382 sander is all about in our shop: the motor. At 1.9 amps the sander's motor is one of the weaker ones in the field. That fact and the respectable 12,000 rpm rotation speed create two different pictures of the 382. When using fine sandpaper the Model 382's performance is very close to that of the leaders in the category. 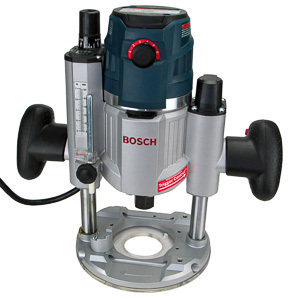 The motor has no problem powering the sanding disk at the speed necessary to achieve good results. The oscillation mechanism works well. 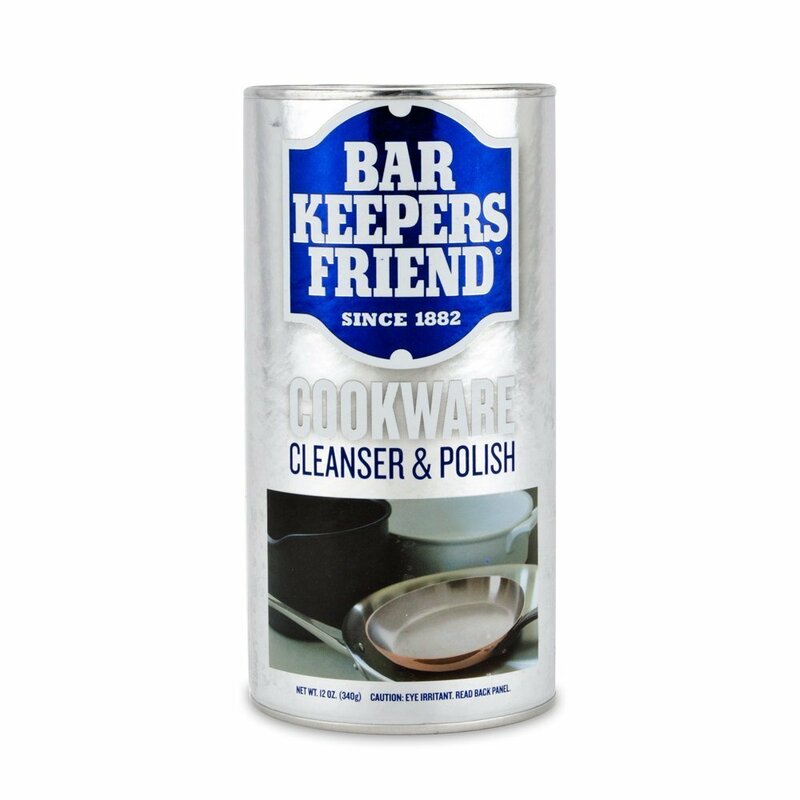 Above 120 grit the Model 382 leaves behind a surface void of any visible scratches. When using coarse grit disks the weak motor of the Model 382 slows the sander down. Even slight amounts of downward pressure can cause the sander to bind. The only option is to let the Model 382 work at its own pace, which is considerably slower than the competition. On a single project this can mean a difference of a few minutes at best. In a professional shop, however, this difference is going to add up quickly. The counter balanced fan does a good job of limiting any vibrations the users feels. On projects measured in hours any punishment the Model 382 dishes out is inconsequential. In a professional shop the missing official vibration reduction rating is a tell-tale sign of trouble. 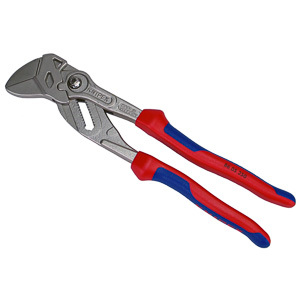 The Model 382 is well engineered, but only to a point. The Model 382 performed well in our two hour endurance test. It is clearly capable of completing day-long sanding sessions. The only noteworthy observation is that the top of sander gets hot to the touch after about 5 minutes of use. The tool never gets hot enough to hurt the hand holding it, but the sander keeps the operator's hand nice and warm during long sanding sessions. 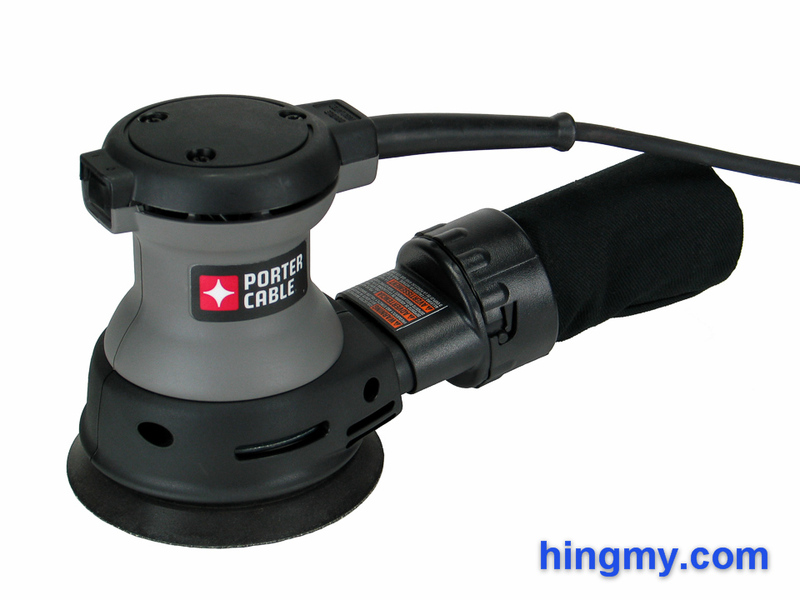 The Porter Cable Model 382 orbital sander is a capable sander that has trouble with extraordinary work. Equipped with fine sandpaper the sander produces results as good as the leaders in the category in a comparable amount of time. At lower grits the limited power of the motor shows. Sanding speed slows down dramatically. Well built to professional standards with good dust collection both with a dust collector and the included cloth canister filter the Model 382 can be a good sander. 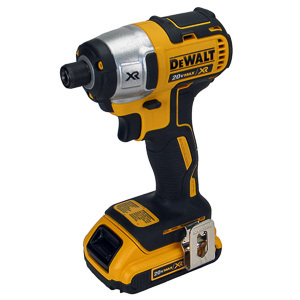 If you can work around its limitations, the Model 382 can save you a few dollars compared to the competition. 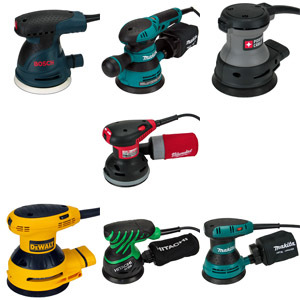 For most of us, however, spending a little more to get a much more capable sander will be the better choice.